Keep smiling with GP x Smiley® Special Edition Portable Power Bank! Do you have a problem with your handphone's battery life? Oh come on let's all admit it, WE ALL DO. Today I am going to share with you a little something that can solve this problem to keep you smiling all day every day! GP x Smiley® Special Edition Portable Power Bank! With a slim design, light weight and fitting into pockets or bags nicely, this adorable powerbank comes with 6 different designs as well and is only retailing for an affordable price of $49! With its reliable power and built in 5200mAh, it is capable of charging most USB enabled devices including your iPads, smartphones, various tablet PCs and even your cameras! It's charging power is tried and tested and can charge an iPhone 5s up to 2 times! Weighing at just approximately 135grams, this powerbank features a slim design which means all of us no longer have to worry about bringing a bulky and heavy powerbank out anymore! With it's fast charging speed, there is also more excuses for us to TAKE MORE SELFIES and not worry about our devices' battery life with the help of GP x Smiley® Special Edition Portable Power Bank! GP x Smiley® Special Edition Portable Power Bank will be available at a 20% discount from 7th December 2015 till 3rd January 2016 at the Challenger Roadshow happening at ION Orchard! adorable powerbanks at Challenger Stores Singapore! If you are still looking for a gift to get your loved ones this Christmas, hesitate no more - get this one! I am lucky to own one in my favourite design! 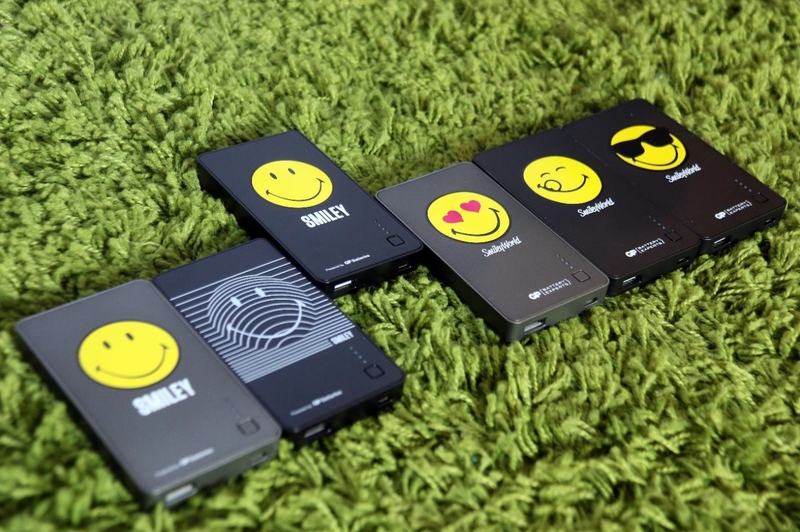 Smile, be happy with the GP x Smiley® Special Edition Portable Power Bank! For more information and promotion about GP Batteries, check out their facebook page! MARTIDERM - AN AMPOULE A DAY, KEEPS SKIN PROBLEMS AT BAY!